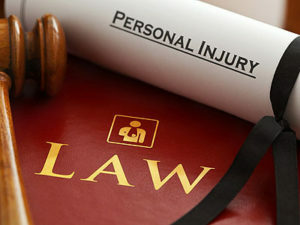 Huntington Bailey delivers a unique combination of legal savvy, service and compassion to those with a personal injury claim. It starts with our proven process for pursuing a claim aggressively, while helping you to continue to live your life. Step-by-Step Guidance. Our team will provide an invaluable overview of the whole legal process, bringing you clarity and peace of mind. You’ll know exactly what to expect. Then we’ll manage every step along the way. Expert Testimony. To help present the strongest case possible on your behalf, Huntington Bailey taps into an extensive network of technical insight and expert witnesses. Documentation & Record Keeping. Our experience has shown that clients often become overwhelmed in managing the documentation of their case. What are the important records you need to keep? How do you obtain the ones you need? Our team will walk you through it and simplify the process. Convenience & Service. Our attorneys will come to you. Or if you’d prefer, meet in the comfort of our spacious private offices. Wherever we meet, our team will schedule a time at your convenience, including evening or weekend appointments. Medical & Personal Assistance. We know that many times the most difficult aspects of pursuing a personal injury case is managing the challenges of daily living at the same time. Our experienced team can help identify resources available to assist you, giving you more time and energy to focus on your most pressing priorities. At Huntington Bailey, we know that a personal injury claim brings with it challenges on several fronts, all at the same time. With our experienced team and extensive resources, we’ll give you the peace of mind and confidence you need while aggressively pursuing your claim.